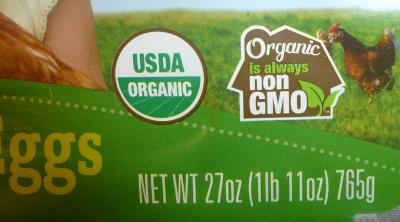 “All organic is GMO-free”. This is in recognition of the reality that GMO-free is growing at a rapid rate while growth in Certified Organic has reached a plateau. 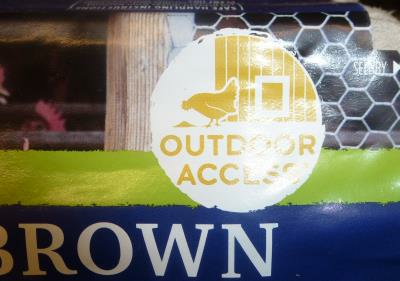 There is overwhelming confusion among consumers as to outside access. Vital Farms, in an evident expression of frustration with outside access claims competing with their 108 ft2 pasture-housed standard initiated a controversial advertising campaign featuring a “No Bull**it” theme. I t is evident that AMS in cooperation with the egg industry will have to develop standards which must be followed by producers as an exercise in fair description. The situation with regard to the image and competitive status of the USDA-AMS Certified Organic seal is a more difficult proposition. Promotion of other than a brand is difficult and ultimately expensive. An attempt by the Organic Standards Board (OSB) to impose even greater outside access and thereby disqualify in-line operations providing access to sun porches has been deferred. The proposed action by the OSB in 2016 would have raised the cost of production and hence selling price, further reducing the attraction of “organic” against less expensive Non-GMO eggs and alternatives.